Heeft u een vraag voor Grand Motel? Ontworpen voor zowel zakelijke reizigers als toeristen, is Grand Motel ideaal gelegen in Jung-gu; één van de meest populaire buurten van de stad. Vanuit hier kunnen gasten genieten van alles wat de levendige stad te bieden heeft. Met de belangrijkste attracties van de stad - zoals Gwangbok-dong Cultuur- en modestraat, Donggwang Church, Studio Charis - binnen handbereik, zullen bezoekers van de accommodatie de locatie zeker waarderen. Grand Motel biedt gasten superieure services, plus een breed scala aan voorzieningen, en is toegewijd om uw verblijf zo comfortabel mogelijk te maken. Om gasten een maximaal comfort te garanderen biedt de accommodatie gratis wi-fi in alle kamers, supermarkt, dagelijkse schoonmaak, wasserette, taxi service. Ervaar kamerfaciliteiten van hoge kwaliteit, inclusief elektrische deken, gratis welkomstdrankje, spiegel, slippers, handdoeken, om na een lange dag tot rust te komen. De accommodatie biedt talrijke recreatieve mogelijkheden, zodat u voldoende te doen heeft tijdens uw verblijf . Wat de reden van uw bezoek aan Busan ook is, Grand Motel is de perfecte keuze voor een enerverende vakantie. Grand motel is very convenient to move around as it located in a very strategic area. Walking distance to Busan Tower, BIFF Square, Jagalchi Market, Lotte Mall, Gukje Market. No problem in moving around with easier public transportation. The staff’s hospitality is also very good. The cons will be on the cold room floor, water pressure in the shower is very low and small dining area. The location is excellent, as it is straight in the active area full of shops and restaurants. The motel is on the 4th and 5th floor of a building with a noraebang (karaoke room) on the 2nd floor, so you would hear some of the songs when you're trying to sleep. Everything is a bit old, but the room was larger than I thought. Overall definitely worth the stay. The person in charge was really friendly and when we left she waited until we took the elevator to say goodbye. the rooms are good enough and the bed was much better than i thought. will come back again for sure. The location is near metro (nampo station) and just behind the fashion street. Food is easily accessible and there's a night market nearby. The staff is amazing. He explained all the nearby attraction and also how to get to other attraction. He even print out qr code for the maps. The room is spacious with amazing necessities. Especially love the electric blanket and electric water kettle. The pc inside the room is a surprise bonus. The owner/manager is a very friendly guy and so helpful. He provided excellent information about the area! The rooms are clean and have lots of amenities. The location is very good, close to many restaurants and shopping areas. Highly recommended! Excellently located in my favorite part of the city. Lots of bars, restaurants and street food in the near vicinity. A convenience store just below the hotel. The hotel is old and could use a facelift, but it's clean and very friendly. I would stay again! The hotel is old and a bit run down, but the room is spacious and fairly clean. Clean towels and bottled water every day. TV and air con, hair dryer, shampoo and soap. The wi-fi worked well. Simple breakfast with coffee, toast, butter snf jam. The location couldn't be any better. On s small, very lively alley, with bars and restaurants, a convenience store, just 2 minutes from the subway station. Nampodong is a great neighborhood. Very vibrant and well connected. The owner speaks English and is very helful and polite. His mother can't speak English but has a big smile on her face all the time. I would recommend this hotel to anyone who is on a tight budget or other people who are looking for good value for money. I would stay there again. very good location, very helpful owner, a bit old but doesn't matter; all the equipments are functioning well. They even send technician to repair the TV on my 2nd day of stay despite i have told the owner i don't mind for not able to watch TV, such a nice experience. Upon arrival the owner(male guy) is very accommodating, he help us on our itinerary around busan and gave us a map for the location that we are looking for. He even accompany us to bought WiFi access and stroll the convenient store around the place until we found one. Free breakfast are toast, butter, jam, coffee and milk. The location is also good since it is just near the lotte department store and nampu station. The owner , Mr Park is a very helpful and informative young man. The hotel is on the 4th and 5th floor. 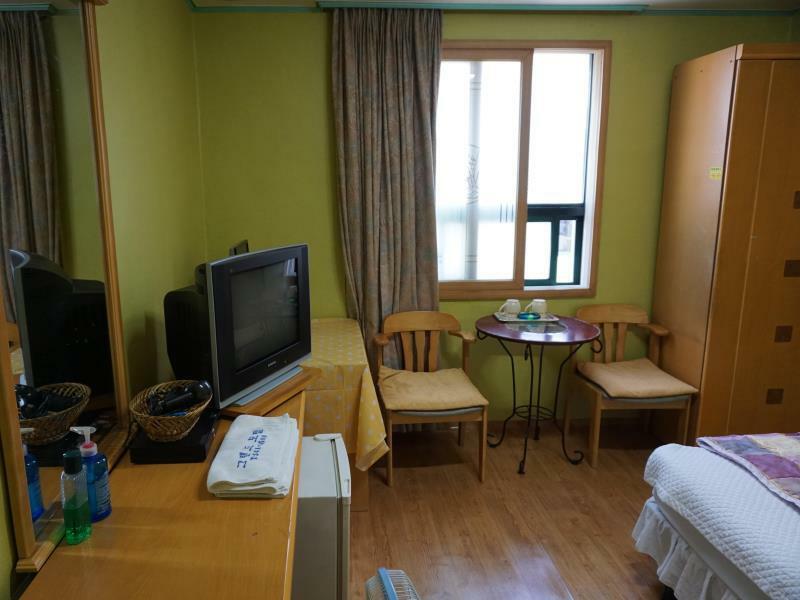 It is just 3 minutes walk from exit 7 of Nampo station, very close to Yongsusan Park and Busan Tower. Walking distance to night market, sea food market and everything. The hotel also provide Free wifi and free breakfast. The self service breakfast only available from 8-10am, it will be more appreciated if the breakfast can start a bit earlier! We will come back again. 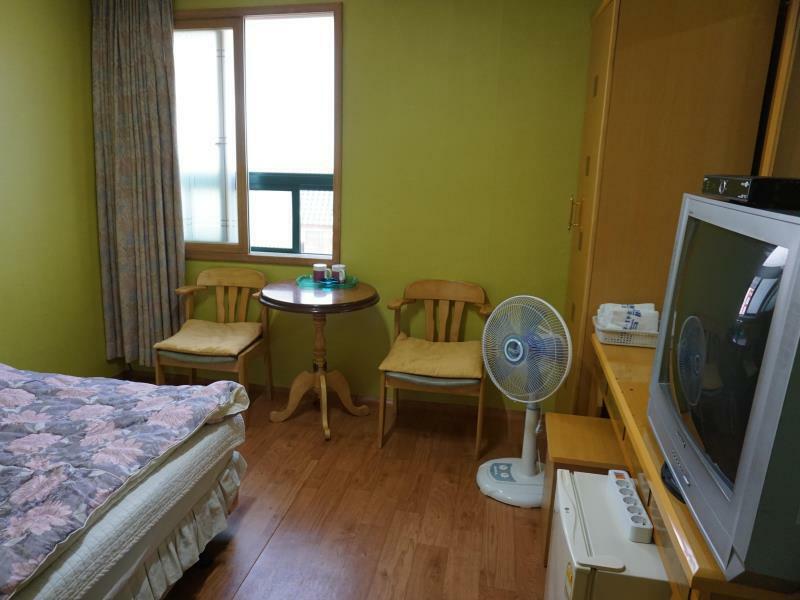 Room is neat and clean, host is helpful, location is excellent, only 2 min walk from nampo station exit 7. The first impression of this motel is not very good as it located at 4 & 5 floor, and there are some stuffs on the main entrance. Overall speaking, it is really worth money. Generally all the good points were already mentioned in previous reviews. Nothing negative to highland. Although the decor slightly old, but the room is clean. I returned to the same hotel after my trip to Jeju. Near Subway, Hotel Staff Super Friendly with English speaking & Cleanliness..
Me and my friends stayed here for 2 nights from 8 March to 10 March 2016. 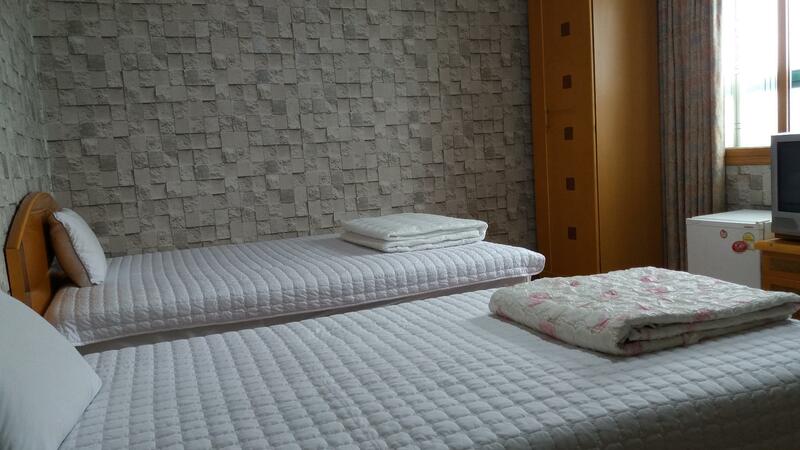 We were highly satisfied with what the guesthouse offered: Location is easy to find. Near to Dongdaemun, Gwanghwamun and most of all Jonggak Station exit 4 the nearest exit to the guesthouse. Price is affordable for budget travellers like us..well maintained cleanliness of the hotel and small and cozy room with flatscreen tv, very fast wifi connection, small toilet room with a very good water heater, very good aircond and heater in 1. Free Breakfast provide with coffee, cereals and bread. a very good door lock system in the main door and room. Hotel is closed by 11 and password is provided separately for the visitors. very warm welcoming and accomodating from guesthouse owner. Fluent in english which is very important for an english speaking traveller. the staff will very helpful if u want to know anything. Highly recommended for travellers. It's very near to Nampo station(3 minutes-walk), which is very near to the city center and attractions like busan tower, lotte, Taejongdae (bus stop nearby), the place will become happening during night time. Room is spacious enough, love motel alike, breakfast is provided, staff is always attentive to your needs. Would say it's a nice stay, just rmember to choose higher floor because there might be some noises coming from the pub/karaoke nearby. The owner is very nice person, he introduce a lot of attractions in Busan for travelers, although not so fluent in English, but we still able to understand. This is also very near to MRT station which only 5 minutes away by walk. It is also walking distance to BIFF which is a night market with a lot of Korean traditional street foods. Also, a walking distance to the Lotte World which is a shopping mall with night view at the roof top. Location was great and the room was nice and comfortable. Owner were friendly and hospitable. The Grand Motel boss is very helpful & friendly guy. The room are clean but a bit old, need to clean a little bit outside walkway. Close to the walking street & Jalachi Market & Busan Tower. The Lotte Mall is nearby also, easy to walk around.